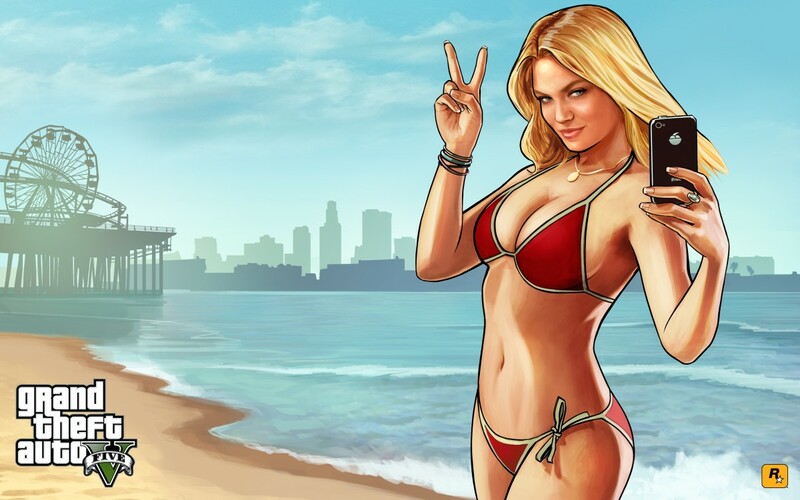 GTA 5 sells 90 million copies – is it the best-selling video game of all time? Take-Two, the publisher behind the world-conquering Grand Theft Auto franchise, recently revealed that the game has sold a whooping 90 million copies, making it one of the biggest success stories in the history of video games. It’s clear though, that GTA V was one of the best games to hit shelves in 2013, thanks to its great open-world gameplay, story and characters. And despite the fact the game has been controversial due to its violence and apparent sexism, it still is Rockstar’s biggest game to date by a mile. Actually, GTA V has not only sold triple the number of copies Rockstar’s earlier game GTA: San Andreas did (and six times as many as their cowboy hit Red Dead Redemption), it also shifted a stunning 15 million copies in 2017 alone, outselling everything except established franchises like Call of Duty. So, given the game is still selling like hot potatoes more than four years after its release, is it now the best-selling game of all time? Well, not exactly. Actually, GTA V still has some catching up to do if it wants to outsell the two games that top it in the all-time sales charts. One is Minecraft, which has sold 144 million copies to date, and shows no signs of slowing down any time soon. The other is Tetris, which has shifted more copies to date than you can shake a stick at – a whopping 170 million – even if that game has been released on every gaming platform known to man, from mobile phones to the old NES console. Going back to GTA V though, it’s likely many people are wondering what the secret behind the game’s success is. Because while it’s clear the GTA franchise was already popular before the game’s launch (GTA: San Andreas sold 25 million copies after all), with GTA V the franchise has transcended barriers and become a cultural phenomenon, something people talk about with their friends and colleagues daily, something that’s more than a game. This has likely to do with the success of GTA Online, because while GTA V’s single player campaign delivers plenty of fun and thrills, it’s the online multiplayer which has likely kept the game relevant to this day, something which suggests online play is likely to be a major part of the upcoming Red Dead Redemption 2 too. So, kudos to Rockstar then, and here’s hoping that the US company keeps releasing more great content for GTA Online in the future, and also that Red Dead Redemption 2 turns out to be the great game fans are expecting when it hits shelves later this year.